Followers of European racing may have noticed that there are a handful of contests across Britain’s summer festivals that have a knack of throwing up horses that go on to bigger and better things in Hong Kong. The Britannia Handicap over the straight 1,600m at Royal Ascot, for example, counts high-class Group One performers Beauty Flame, Simply Brilliant, and Born In China among its recent graduates. 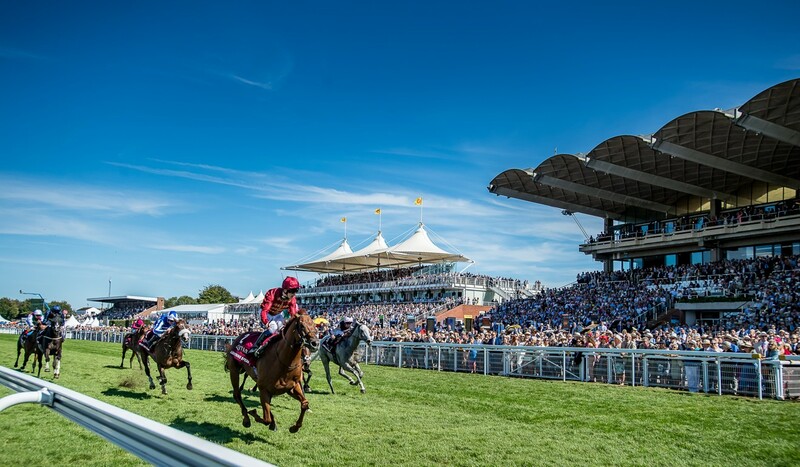 Another example of such a race is a 2,000m handicap run on the Thursday of the Qatar Goodwood Festival, more affectionately known as “Glorious Goodwood”. This race, whose name has changed over the years according to the sponsor but is now called the Matchbook Best Value Exchange Stakes, has an impressive track record of producing horses that thrive in Hong Kong. The relevance of this to Sunday’s meeting at Sha Tin lies in the fact that Harlech Handicap contender and recent Class Three winner Good Omen made the switch to Hong Kong for owner Guo Qin Jun after winning the 2017 renewal of this Goodwood race. So, as a graduate of this race, just how lofty is the company Good Omen is keeping? In the early 2000s, eye-catching performers from three consecutive runnings became big earners in Hong Kong. The first of these, the John Gosden-trained Tiber, won the 2003 renewal and was bought subsequent to the race for Anthony Cheung Hin-shun and Peter Keller. Having joined John Moore’s string in the autumn, the British export quickly went on to win the Hong Kong Classic Mile and finish second in the Hong Kong Derby in the spring of 2004. The 2004 renewal of the Goodwood race went the way of Art Trader. Trained locally by Amanda Perrett, the horse was sold in the aftermath of the Goodwood race to David Boehm, and once again it was Moore who benefited from the addition of this British export to his team. Art Trader went on to win the Group Three Chairman’s Trophy in 2006. The 2005 renewal of the race saw Comic Strip, trained by Sir Mark Prescott, sent off $3 favourite and fly home in fourth under top weight. On the back of this eye-catching performance, Comic Strip was snapped up by British agent Alastair Donald for Stanley Ho Hung-sun and duly left Prescott’s Heath House Stables bound for the Far East. He was renamed Viva Pataca, sent to Moore and the rest is history. Viva Pataca went on to become Hong Kong Champion in his new career and win HK$83,197,500 in prize money, a Hong Kong record that stands to this day. In the intervening years, only one other horse has been selected for Hong Kong on the back of his effort in this noteworthy race. Smart Baby has not scaled the heights of the aforementioned trio – albeit he did register a tidy Happy Valley hat-trick at the end of last year – but his ninth-place finish in the 2016 Goodwood handicap did indicate he may not have quite as much potential in him as the others. The history books for those who finished further up the field at Goodwood, however, did suggest that Good Omen might be one to follow closely as he made the transfer from David Simcock’s yard in Newmarket to Dennis Yip Chor-hong’s stable. Sunday’s race will require a career best effort from the trained five-year-old, but it would come as little surprise should he continue to progress up through the ranks in Hong Kong.